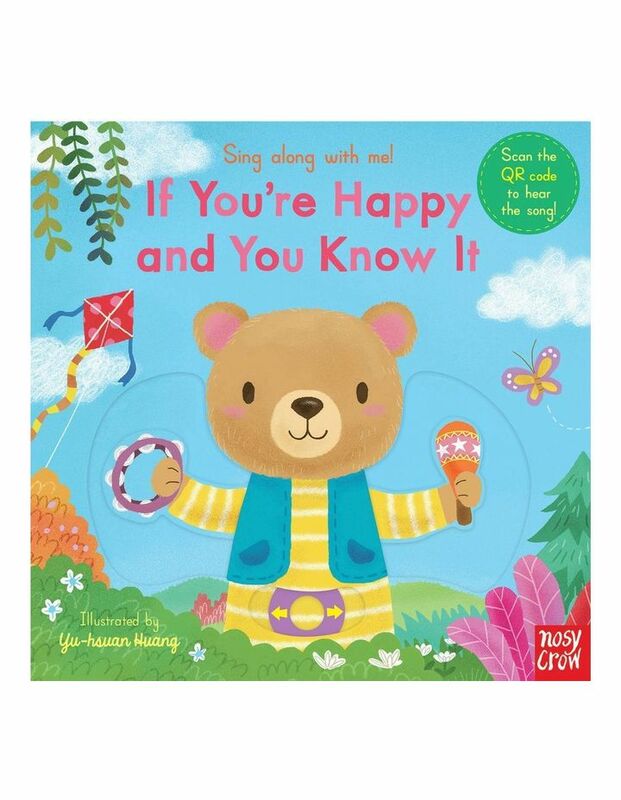 A fun and brightly coloured slider board book featuring the perennially popular song ""If You're Happy and You Know It Clap Your Hands"" with cheering illustrations. This interactive book contains five slider mechanisms that you simply slide as you read through the story. It comes in a sturdy board book format great for little hands to hold and it also contains a QR code. Simply scan the QR code to gain access to an instrumental and vocal version of the nursery rhyme for little ones to listen and sing along to.